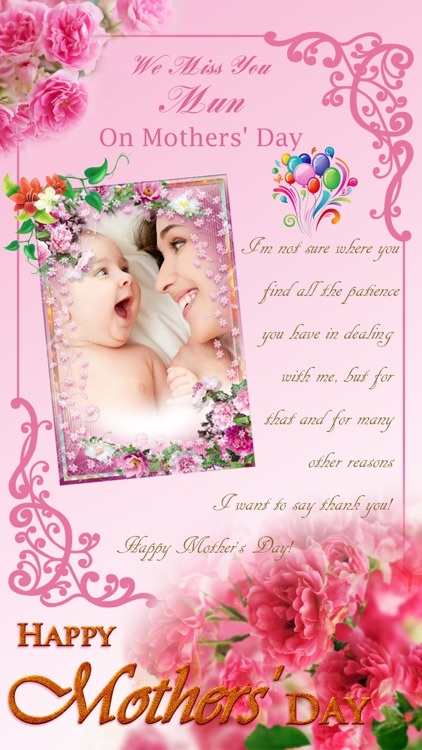 Tell your mum how much you mean to her now. 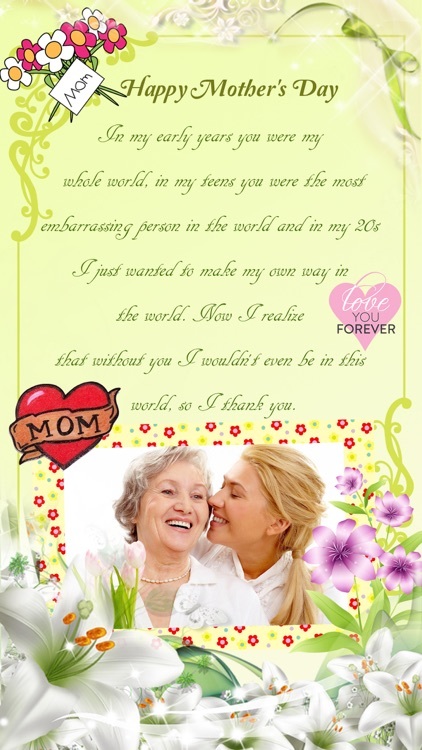 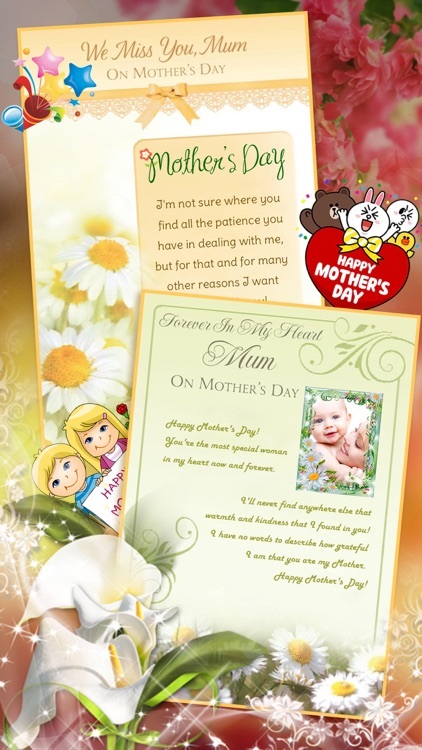 Send a lovely card to your mom with your own picture decorated with your own words! 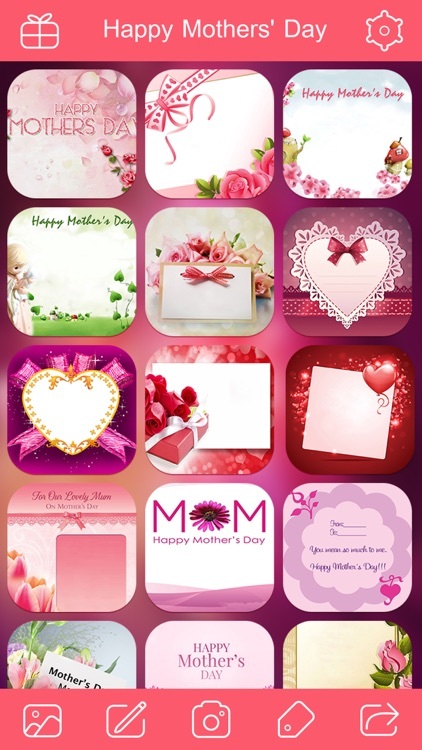 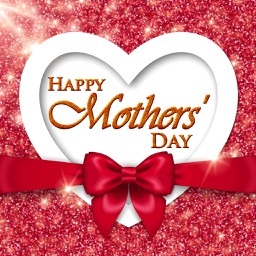 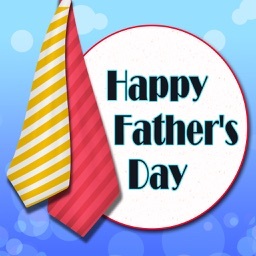 This app features the easiest way to make a unique custom Mother's Day eCard and the easiest way to send your card via email, Twitter, Facebook, etc. 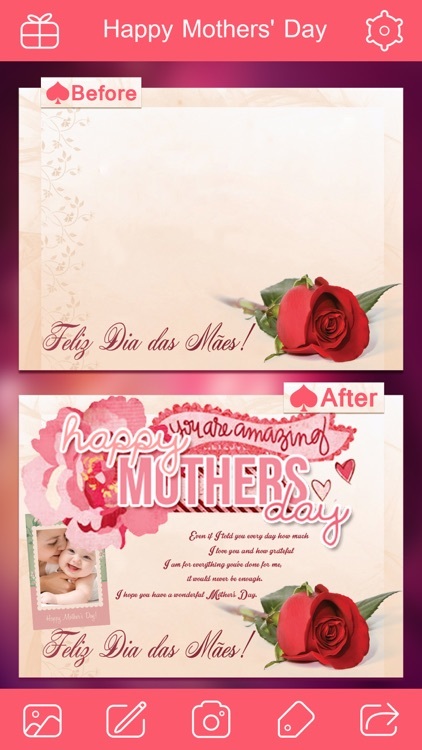 • Load or take a photo to form a stamp.